The very first Boppy Pillow was introduced to the world in 1989. It is now one of the most popular nursery products in the world. 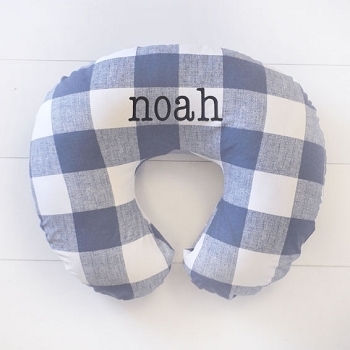 It is simple to change the style of your boppy pillow cover with our unique slipcovered boppy covers. Our Boppy covers fit snug on the standard Boppy Bare Naked Pillow to keep it clean, and give it a fresh look. Choose from a variety of styles and colors to make your boppy unique and coordinate it with other items in your baby's nursery! Choose from polka dot boppy covers, aztec boppy covers, pink boppy covers, woodland boppy pillow covers and more! 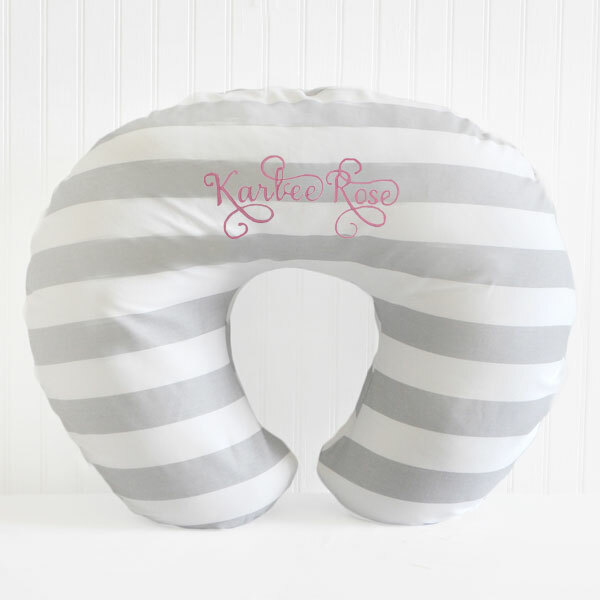 A zipper is included on your boppy pillow cover for easy for cleaning. If you can't find the exact boppy covers for your boppy pillow, we are happy to make a custom one for you from any of our nursery fabrics! For more information, please email [email protected] Visit our baby bedding shop to see all of the coordinating crib accessories we have available for your nursery!